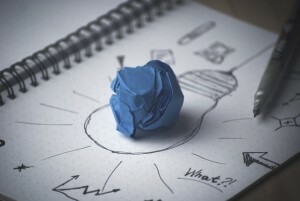 The ‘ideas boom’, the blueprint to innovation, or just simply, the Innovation Statement – whichever way you prefer to coin Turnbull’s first economic report as government, there is no denying that ‘innovation’ has become a buzzword in the Australian vocabulary this week. The innovation statement, released on Monday, unveiled a $1.1 billion plan to foster innovation with 24 new measures across 11 different Government groups. Certainly, the plan is wide-ranging; however, it falls short on delivering a globally competitive commercialisation model – an area in which Australia is struggling. Whilst there is a mention of a new government body, ISA, who will be reviewing the R&D Tax Incentive in 2016, there was no mention of a review of Australia’s commercialisation shortcomings. To clarify, the 2015 Australian Innovation System Report, released by the Department of Industry, Innovation and Science, stated that Australia is exceptional when it comes to research, but the nation is still struggling to commercialise its innovations. In fact, the nation is grappling to stay within the top 30 OECD nations in terms of any commercialisation metrics. Therefore, to gain competitive edge on a global scale our businesses need to fully harness emerging technology trends. Last year, Swanson Reed, in partnership with Wrays, proposed a new type of government endorsed grant program based off the UK Patent Box. The proposed grant aimed to offset the cost of patent filing and aid in commercialisation. Research has indicated that 1000 extra patents per year (that otherwise would not have been filed) could add up to $7 Billion extra GDP per year in the Australian economy. Thus, due to the strong link between general patent production and GDP, it is believed that a grant model would be a much more workable alternative to a tax incentive in the short-term. The proposed grant program would offer support to companies through the costly patent process of up to $50,000, with a minimum of $5000 to assist with performing an international novelty search and initial advice. The scheme would be cheaper than a patent box-based incentive, easier to implement and, being a ministerial grant, would not require passage through Parliament or Senate. It would also add around 0.5 per cent or $7.2 billion to the GDP and could be an effective strategy for commercialising and domiciling Intellectual Property (IP). Consequently, expediting innovation requires not just focusing on inventions, start-ups and creativity but also having a holistic business focus on commercialisation and improving individual businesses market orientation. As noted above, a patent box grant scheme could indeed assist Australia in harnessing innovation and making our research available on the market. Since there was no mention of commercialisation for companies in the Innovation Statement, it is hard to know the exact steps the government will take next year in combatting this substantial issue. 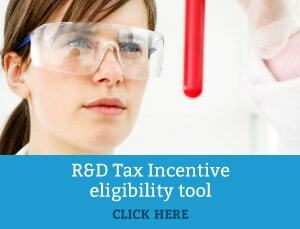 Nonetheless, currently, companies can still benefit from the research incentives in place – in particular, the R&D Tax Incentive. Swanson Reed is a specialist R&D firm that can assist organisations with maximising the tax benefits associated with their investments into research and development. Contact us today to find out more information and if you’re eligible. Want to know more about Swanson Reed’s proposed Patent Box Grant? Read here for more information.